Feels like summer doesn’t it? Well, this is the perfect summer dish with a glass of wine or an ice cold Blue Moon. My mom has been making these Baja Fish Tacos for years so props to her. 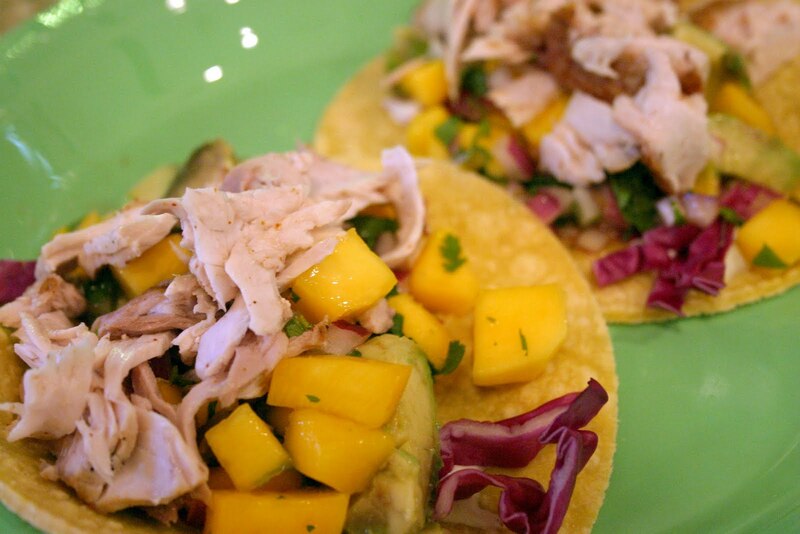 Also, this dish HAS to be served with Mango Salsa! 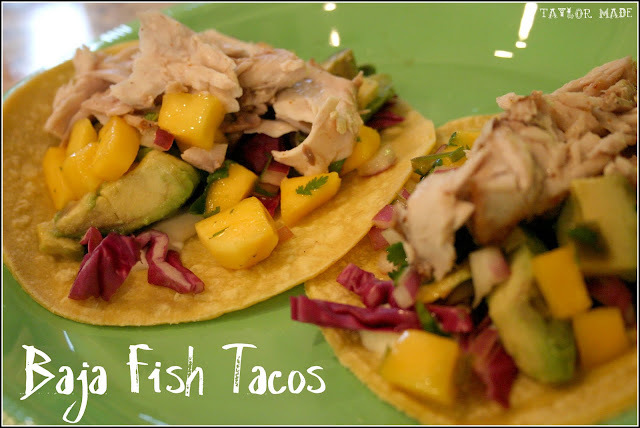 We used Mahi for our tacos but any white fish like Tilapia etc. would be excellent. 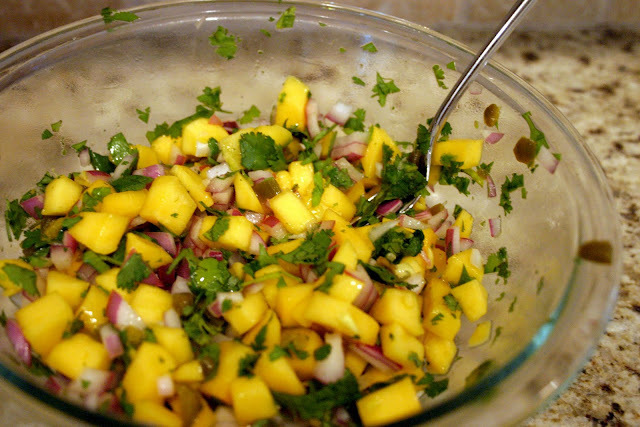 Chop your mango, red onion, and cilantro together in a bowl. Next, add the jalapeno. I like the pickled jalapenos because they aren’t as hot as fresh jalapenos. Add a little juice from the jar for some kick! In a separate bowl mix together a few teaspoons of sugar, water and vinegar. Dissolve sugar and pour over salsa. 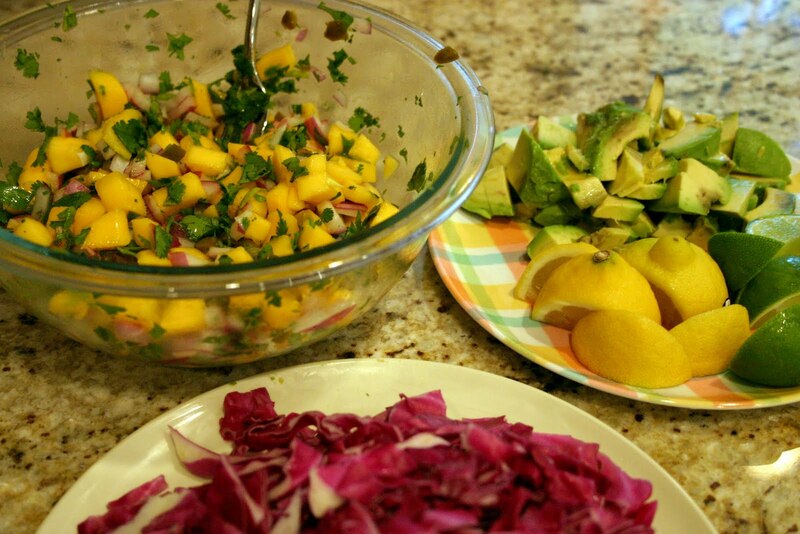 Make this at least an hour before so it can all “blend” together, (it is even better if you make it the day before). Now don’t forget about that ice cold Blue Moon. Enjoy!